From the makers of Juliana’s Toho and Raver’s Nest ~ Toho Rave Party comes a new non-stop mix featuring tracks from Digital Wing and A-One. 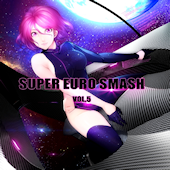 Tracks are sourced from various albums, including Super Euro Smash, Toho Eurobeat, Juliana’s Toho, and Raver’s Nest. There’s also a brand new bonus tracj. This is one to check out if you’re a Eurobeat/Hyper Techno fan. The CD editions came out in late February, but digital versions of these three Akiba Koubou-produced albums just popped up on April 2. Unfortunately, the digital versions are all non-stop mixes. What’s even worse is that they’re all just under an hour long. Still, at least they’re charging almost half what the physical editions cost. 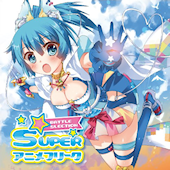 A new Akiba Koubou anime compilation that appears to be a tie-up with a live online show called “Anime On!“. The opening theme is composed by DJ Command. Available exclusively through Asahi Productions or from AKBK’s upcoming New Year’s tour. 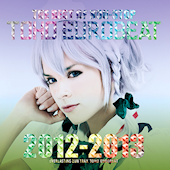 The second entry in the Anison Euroid series, which pairs eurobeat anison covers with vocoder vocals. 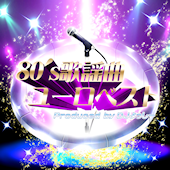 The first album was recently made available digitally worldwide, such as on Amazon MP3. It doesn’t sound like they used Vocaloid, though. I think they just took the existing vocals and tweaked them to sound like Vocaloid. I have no idea what the hell the point of that is. 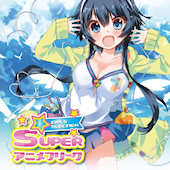 Formerly exclusive to Tsutaya, this Akiba Koubou compilation is now receiving a wide release. 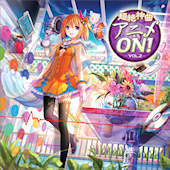 Doujin release featuring eurobeat covers of popular touhou songs. This one’s a non-stop mix featuring songs from Vol. 5-8, as well as a few new productions. You can visit the official website for a crossfade demo and more info. The fifth release in the Super Euro Smash series was released during Comiket 85 late last year. For some reason it’s not even listed on A-One Record’s website. The third of three releases in the new Super Anime Freak series. This entry features songs from school anime. Not a single new track in sight. Junjou Karem!! 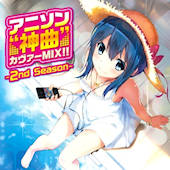 Anison Cover Mix!! 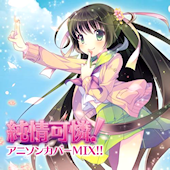 Another release in Akiba Koubou’s Anison Cover Mix!! series. Only 2 new tracks, blech. The third of three releases in the new Super Anime Freak series. This entry features songs from school anime. All of the announced songs so far are repeats. 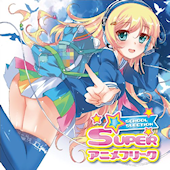 The second of three releases in the new Super Anime Freak series. This entry features songs from girls anime. The song from “H2O” is listed as “mitei” (pending), so there’s a chance that could be new. Everything else that’s been announced so far is a repeat.